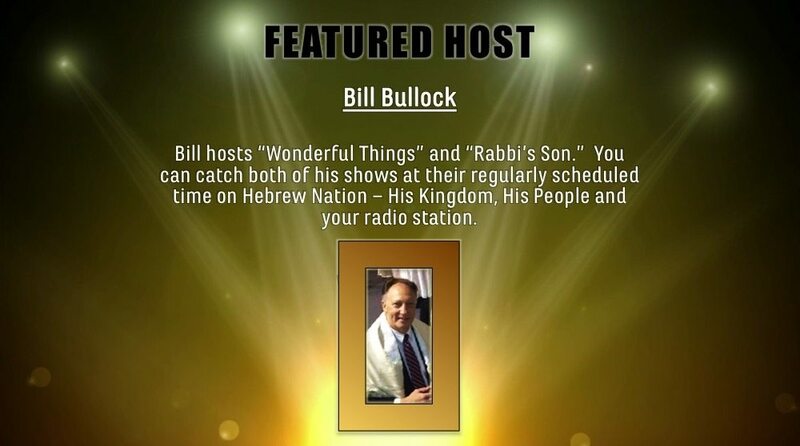 Bill Bullock, the host of the ‘Wonderful Things’ program, is an inspirational writer and motivational speaker. Bill’s teachings lay out in cross-generational detail the Great Redemptive Plan and End-Game of our Creator. Bill’s passion is to inspire and empower people from all traditions to function at their greatest level of impact. In addition to his writing and motivational speaking endeavors Bill presides over the gatherings, operations, and ministries of a Torah-observant fellowship in Texarkana, Texas known as ‘Regions Christian Center’.